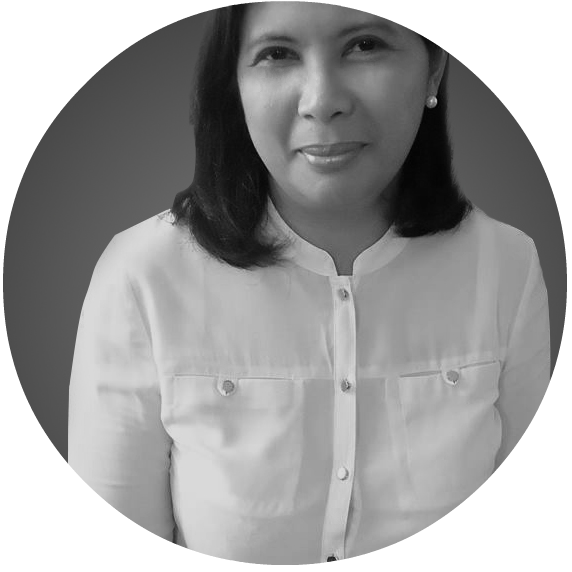 Like most Filipinos, our family eagerly awaited for the arrival of Pope Francis in the Philippines today. It did not matter that we were not able to go physically to the welcome route. 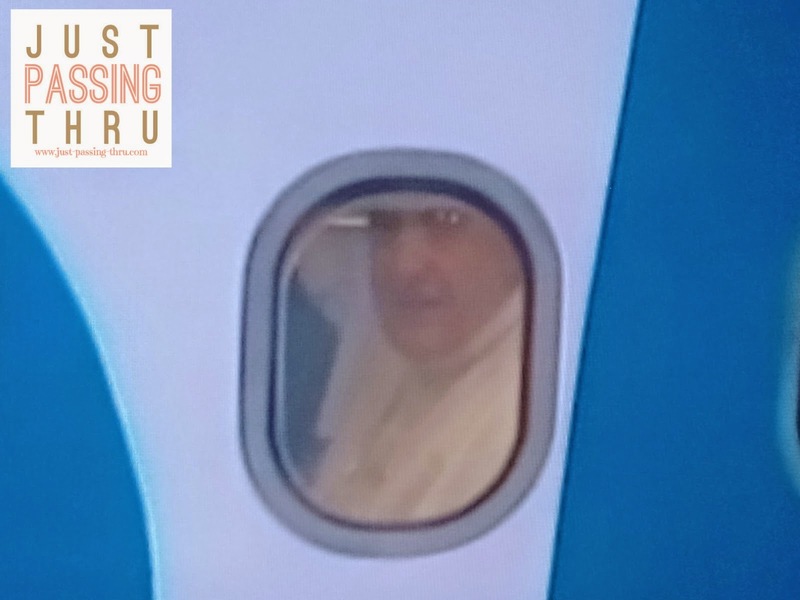 The first glimpse of his face from the window of the plane that brought him to our land as seen on our TV screen was enough to fill our hearts with joy and hope. What is so special about Pope Francis? So many things have been said about his simplicity and down-to-earth nature that have endeared him even to non-Catholics. His persona goes beyond the external manifestations like opting for simpler papal vestments, using public transportation whenever possible, and living in the guesthouse adjacent to St. Peter's Basilica rather than the papal apartments of the Apostolic Palace used by his predecessors. It is the evident humility of a leader who preaches service to others and actually starts with himself. Wherever he goes, he is quick to remind the faithful to focus on the message he brings in the name of Jesus rather than himself. Admittedly, that is somewhat hard to do, especially for a society that continually hungers for a clear symbolism of the good in these very turbulent times. Pope Francis brings with him the message of Mercy and Compassion. This serves as a fitting reminder especially to the Catholic flock that our faith will have more significance when it instills in us the value of practicing it with mercy and compassion towards other people. Bestowing mercy and compassion is not simply limited to the materially poor but also to those who are suffering from any form of deprivation. Seeing the big crowd patiently waiting even for the briefest glimpse of Pope Francis as shown in the live coverage of several networks, I just couldn't help but wonder how greatly impacting it would be to our society if each and everyone would decide to follow the pope's lead towards practicing mercy and compassion. The smile on the faces of the people who were able to see him up close is indeed a refreshing sight compared to the grief that has become very familiar on screen with the passing of several natural calamities. Even I who was just watching from afar felt a lightness within as he breezed through the crowd like a holy apparition. 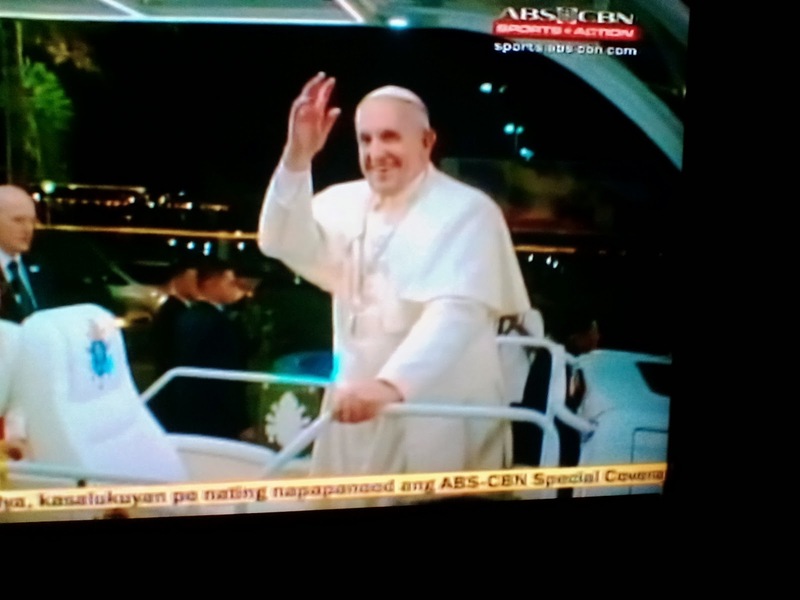 Many of us have been waiting for the Pope's arrival in our country. While I was able to join the crowd in Pope John Paul II's last visit here, that would probably be impossible for me to do now. I would have liked to do so with my family especially for his scheduled visit to my alma mater, the University of Santo Tomas but alas there are commitments to take care of. That said, my enthusiasm for his visit is not at all dampened. I know that the strength of our faith is not measured merely by our physical presence in such momentous events. My family and I share in Pope Francis' call to minimize focusing on ourselves to be of service to others especially to those who are in dire need of assistance. While Pope Francis may not be able to miraculously remove all the ills in our society, here's hoping that we can find that inspiration to create the miracle starting from ourselves.